I always try to give a little taste of the book to help others decide if this might be a good fit for their reading taste. Some have complained that even a taste is a spoiler, so SPOILER WARNING in effect. 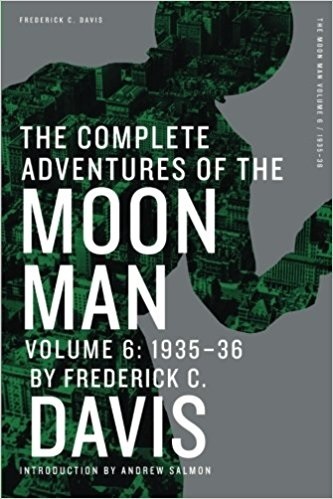 This volume contains four stories from 1935-36 of Ten Detectives Magazine starring the Moon Man. • “Homicide Dividends” finds crooks breaking into the boiler room—right in Great City Police Department! I like the Moon Man as a character, but I wonder why the pulp writers thought that people would forget key plot points from one month to the next. People look forward to something new, and if things are repeated over and over in each successive story, the effect of anything new loses something.